e-Health is the employment of Information and Communication Technologies (ICT) in Healthcare Services, constituting the main mechanism to improve their efficiency and effectiveness. 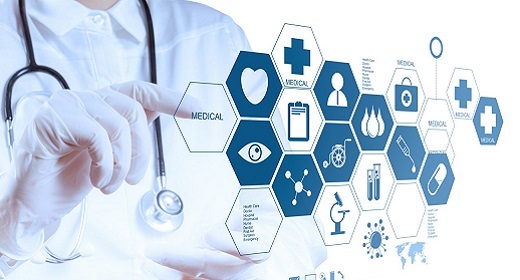 e-Health is an emerging field of medical informatics and public health, referring to health services and information delivered or enhanced through ICT technologies. K. Dimitropoulos, P. Barmpoutis, C. Zioga, A. Kamas, K. Patsiaoura, N. Grammalidis, "Grading of invasive breast carcinoma through Grassmannian VLAD encoding" , PloS One, DOI: 10.1371/journal.pone.0185110.